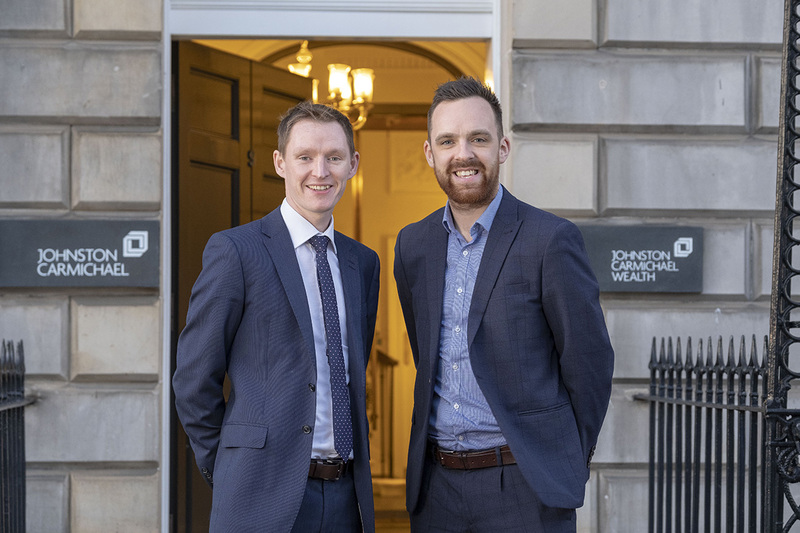 Johnston Carmichael, has strengthened its leadership team in the Central Belt with two director promotions. Andrew Holloway becomes a director in the firm’s tax team, specialising in entrepreneurial taxes, while James Hamilton becomes a director in the audit team. Since joining Johnston Carmichael as a senior manager in June 2017, Andrew has worked with businesses ranging from young start-ups seeking their first seed funding to large privately-owned companies. He is currently Head of Entrepreneurial Taxes at Johnston Carmichael, where he has doubled the size of his specialist team which now spans three of the firm’s largest offices in Aberdeen, Edinburgh and Glasgow. While based between Glasgow and Edinburgh, Andrew travels around Johnston Carmichael’s 11 offices to help nurture young businesses, advising on employee incentivisation schemes (including tax valuation work), Seed Enterprise Investment Scheme (SEIS) and Enterprise Investment Scheme (EIS) investments as well as employment-related securities advice. James worked at EY for eight and a half years before joining Johnston Carmichael as a senior audit manager in May of this year. Based in the firm’s fast-growing Glasgow office, James helps businesses meet increasingly robust and complex regulatory requirements and advises on the provision of specialist support. He has been instrumental in implementing data analytics to the audit process to help clients see the detail beyond the numbers. He also plays a key role supporting and developing the firm’s young professionals and takes an active role in business development. Sandy Manson, chief executive of Johnston Carmichael, said: “At a time when the accountancy profession is being transformed by technology and our clients are being challenged more than ever as they take steps to grow their businesses, talented people remain our greatest asset and resource. We see our role as being trusted advisers who can help our clients take advantage of opportunities and successfully meet challenges as they arise. Andrew and James have each shown outstanding ability, dedication and drive in the way that they support both their clients and colleagues, and thoroughly deserve their new roles as directors.